Polyvinyl Alcohol (PVA, sometimes referred to as PVOH) is a water soluble polymer used widely in adhesives, paints, sealants, coatings, textiles, plastics, etc. The polymer is normally supplied in powder form and several grades are available with varying viscosity and solubility characteristics. This should not be confused with Polyvinyl Acetate, also known as PVA (sometimes PVAc) which is insoluble in water. PVAc emulsions are also used for adhesives, paints and various coatings but processing is somewhat different. The powder is slowly added to cold water to avoid formation of lumps, as it becomes sticky and the tendency to form lumps increases as temperature rises. In some cases water at lower than ambient temperature may be used to reduce this risk. 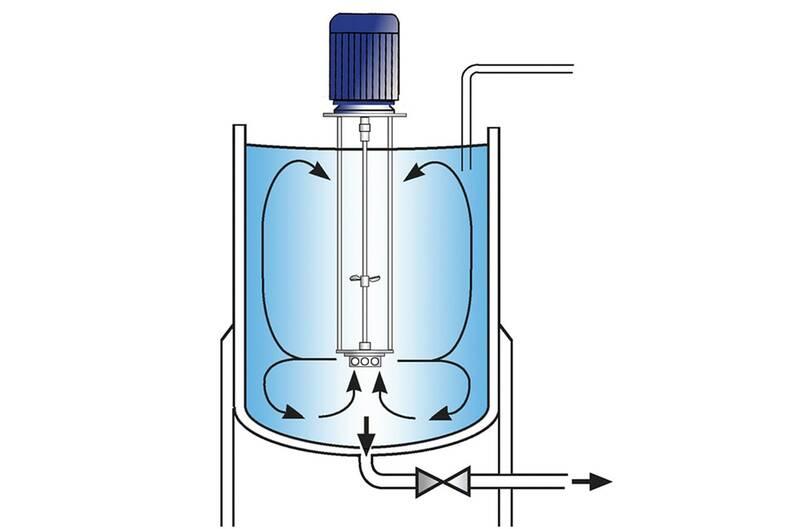 Once the powder is fully dispersed the mix is heated to the temperature at which the polymer becomes solubilised (ranging from 90ºC to 98ºC - this depends on the grade of PVA used). Mixing continues at this temperature until the PVA is fully solubilised. Depending on the grade of material and efficiency of the agitation system this can take some time to achieve. 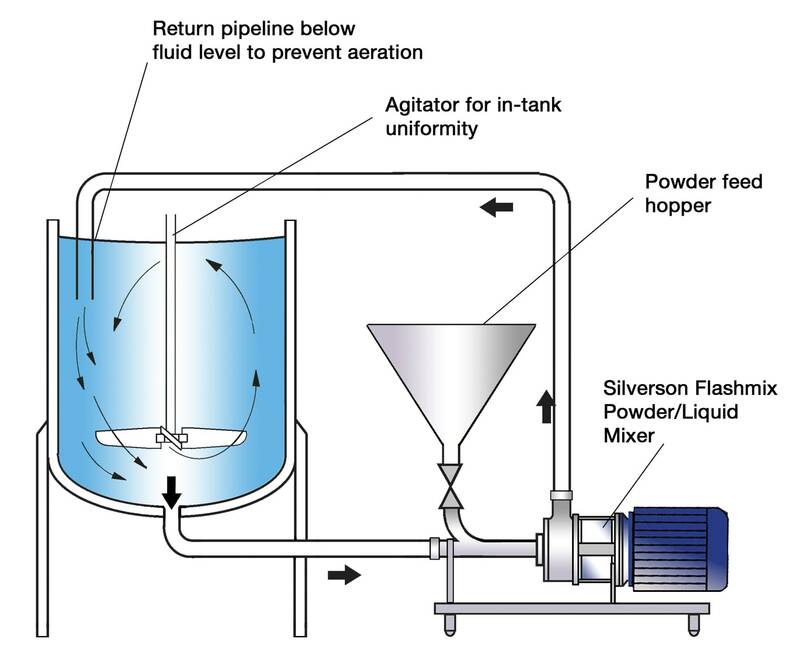 Incorporation and dispersion of the powder becomes increasingly difficult as the viscosity starts to rise. Lumps cannot readily be broken down by agitation and long mixing times are required to complete solubilisation. The vigorous agitation required to wet out the powder can lead to aeration problems. Inefficient agitation takes longer to achieve full solubilisation at temperature. A degree of shear is required to accelerate the process. The heating stage of the process adds to costs and process times. The vessel is charged with hot water and the mixer is started. The PVA is added to the water and is rapidly wetted out and incorporated into the liquid. 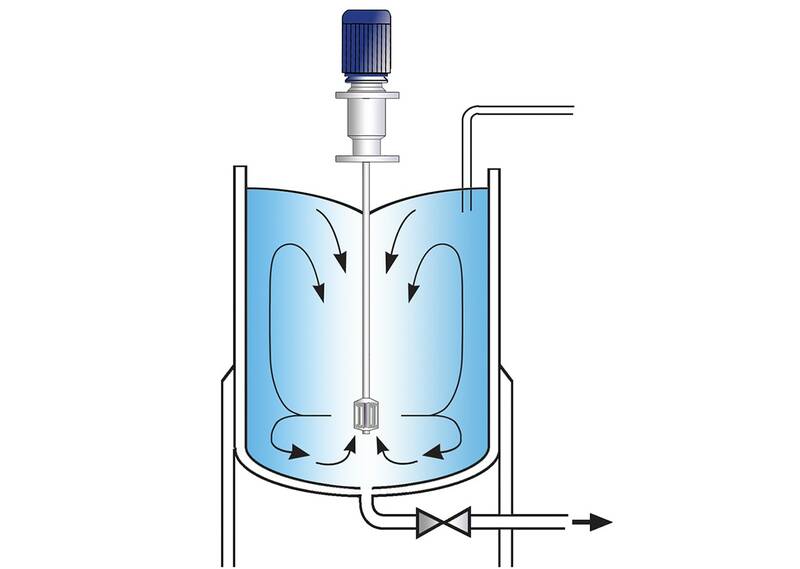 The high speed rotation of the rotor creates a powerful suction which draws ingredients into the mixer's workhead. Centrifugal force drives the materials to the periphery of the workhead where they are subjected to intense high shear in the gap between the rotor and stator before being forced out through the holes in the stator and projected back into the mix. Any agglomerates are rapidly dispersed. Fresh materials are simultaneously drawn into the workhead, setting up a circulatory pattern of mixing. The entire contents of the vessel passes many times through the workhead, progressively breaking down any agglomerates and accelerating the solubilisation process. Dispersing the PVA into hot water eliminates the heating stage, dramatically reducing process time. Rapid dispersion of powder eliminates operator error. Powder is fully dispersed before viscosity build-up commences. Any agglomerates are broken down by the intense high shear mixing, resulting in accelerated solubilisation and better batch consistency. Typically PVA solutions are prepared in bulk. 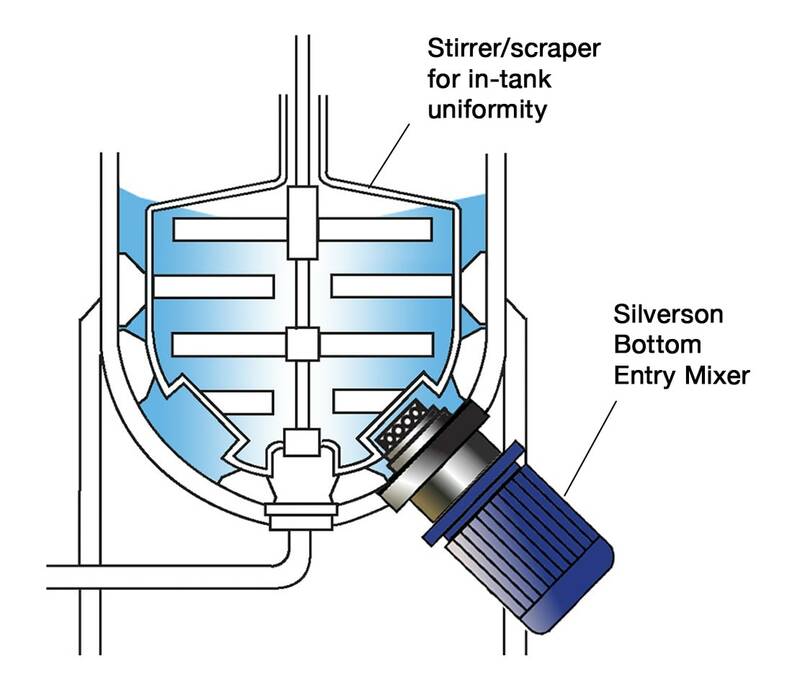 In-Line mixers are commonly used for very large volumes. 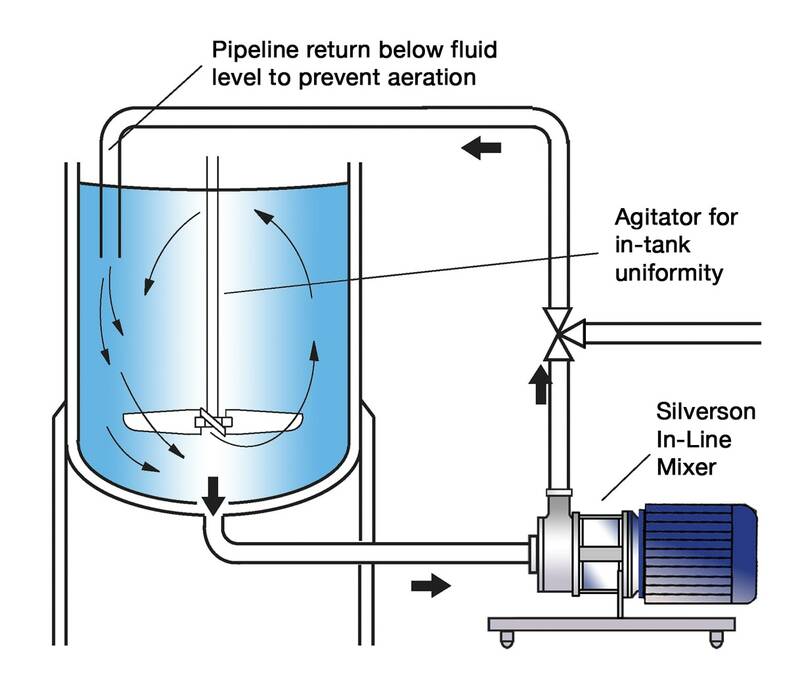 In-tank mixers are also used depending on batch size, viscosity of end product, etc.